Hotelchamp, an Amsterdam, The Netherlands-based smart technology startup that provides a software platform that aims to enhance the relationship between guests and hotels, recently raised €2.25M in the second tranche of its seed funding round, which now totals €4m. 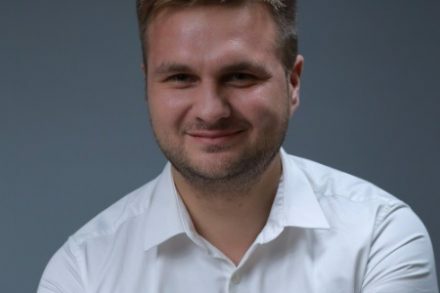 In conjunction with the funding announcement, the company’s co-founder, Kristian Valk, joined answered our questions about the company, the solutions they offer, and future plans. FinSMEs: Hi Kristian, can you tell a bit more about you? What’s your background? As well as being the co-founder of Hotelchamp, I have 15 years of experience as a serial entrepreneur having founded more than 50 webshops. After selling my last e-commerce business at the end of 2014, I joined my fellow co-founder Kasper Middelkoop to establish Hotelchamp. With a team of 50+ employees, we have already helped more than 1000 hotels from over 45 countries to boost their direct bookings. My ambition is to help hotels worldwide gain more direct bookings and restore a fair balance between their direct channels and third parties. FinSMEs: Is travel tech the next big thing? Globally, hotels are searching for solutions to improve sales through their direct channels along with their online guest experience. With the majority of people now booking hotels online, technology has become the ultimate disrupter. I believe the next big step in the industry relies on using smart technology to personalise the online guest experience. What we’re seeing with leading companies in other industries, such as KLM, Netflix, or Spotify, is that personalisation makes online user experience unique and tailored to every customer’s needs. The hospitality industry should be at the forefront of these innovations to rebuild guest relationships online. Smart technology should be used to help hoteliers create outstanding customer experiences, build guest relationships, and engage them from the very beginning of the booking process. FinSMEs: Given this, how did you come up with the idea of creating Hotelchamp? Which problem do you want to solve? Which was the market opportunity to take? Two years ago, I was alarmed by the current state of the hotel industry. Every hotel in the world is facing the same distribution challenge of selling their rooms. Third parties like Booking.com and Expedia are very dominant and hotels have become dependent on their bookings. As a result of the rising third party commissions, there is a real need for more direct bookings. Hotelchamp disrupts this model by creating a sustainable future where hoteliers are back in control of their distribution, are less dependent on third parties, and have full power over their direct revenue, user data and customer engagement. By creating the leading marketing and sales platform for hotels, we’re offering a revolutionary new solution to the hospitality industry that gives hotels the opportunity to take back control of their direct revenue and profitability. We want to empower hotels by providing them with advanced data insights needed to execute their digital strategies. Globally, the industry counts more than 500.000 hotels, so our journey to change the market has just begun. In the coming period, we expect tens of thousands of hotels will start using this solution to boost their direct bookings and build guest relationships. FinSMEs: How does Hotelchamp work? We created a unique sales and marketing platform that combines advanced analytics insights on one side, and on the other, smart technology powered by artificial intelligence that integrates with the hotel website. The analytics insights part of the platform allows hoteliers to monitor their website performance and tailor their marketing strategies. KPI’s such as revenue and conversion rate, in-depth insights into website visitor trends, results from a/b testing, visitor’s behaviors, and a tremendous amount of other data are collected and provided every day. The smart technology allows hoteliers to deploy personalised incentives on their websites in real-time which lead to increased conversions. With a single line of code implementation, hoteliers have thousands of options available to make their websites dynamic and responsive to improve the user experience throughout the booking process. Our technology analyses the behavior and characteristics of every website visitor to present unique targeted features based on their identity, wants and needs. 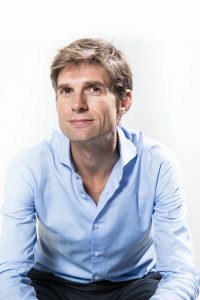 In addition to this advanced personalisation, persuasion techniques based on psychological research by Professor Robert Cialdini are employed to better convince the visitors. These techniques, like social proof, scarcity and reciprocity, are informed by the 7 principles Cialdini determined to be the most effective triggers to influence behaviour. On top of our all-in one platform, our dedicated team of conversion specialists continuously monitor, test, analyse, and evaluate each hotels website’s performance to support our customers with the best strategy. FinSMEs: Can you introduce your co-founders and teammates? My co-founder Kasper Middelkoop, has 12 years of experience as an entrepreneur in e-commerce and online marketing. After founding and selling his successful online marketing agency, he came up with the idea to establish Hotelchamp. Thanks to our years of combined e-commerce experience, we were able to objectively identify this problem and also develop a very functional solution. Neither of us has a hospitality background but that helped us focus in and analyse exactly what needed to change. For us, the hotel industry wasn’t simply an opportunity – we could see it had an urgent need for a real solution. That is still our approach today for finding new Champs – employing the very best people with the very best skills from a variety of backgrounds. Our team now has more than 50 employees from 14 countries. As a true Champ, every employee disrupts and impacts the industry with their unique expertise, striving towards our common goal to put hospitality back in the hands of hoteliers. FinSMEs: What are Hotelchamp’s near and medium term future plans? Our aim is to become the Salesforce of the hotel industry. That means we are the leading marketing and sales platform for hotels with the highest connectivity within the hotel tech industry. Our ambition is to change the hotel industry as a whole. Therefore we need to sign tens of thousands of hotels in the coming period to have real impact on the industry.